Vitamins can be in pill form. A multivitamin might help a child who is a picky eater get the nutrients they need. Proper nutrition is important for everyone, especially children, who are still growing and developing. In case all of the essential vitamins are not provided by well-rounded meals, multivitamins can be given to children to help ensure they get their daily recommended intake. Vitamins for kids are available in a number of different combinations, and can be found in tablet, liquid, or chewable forms. 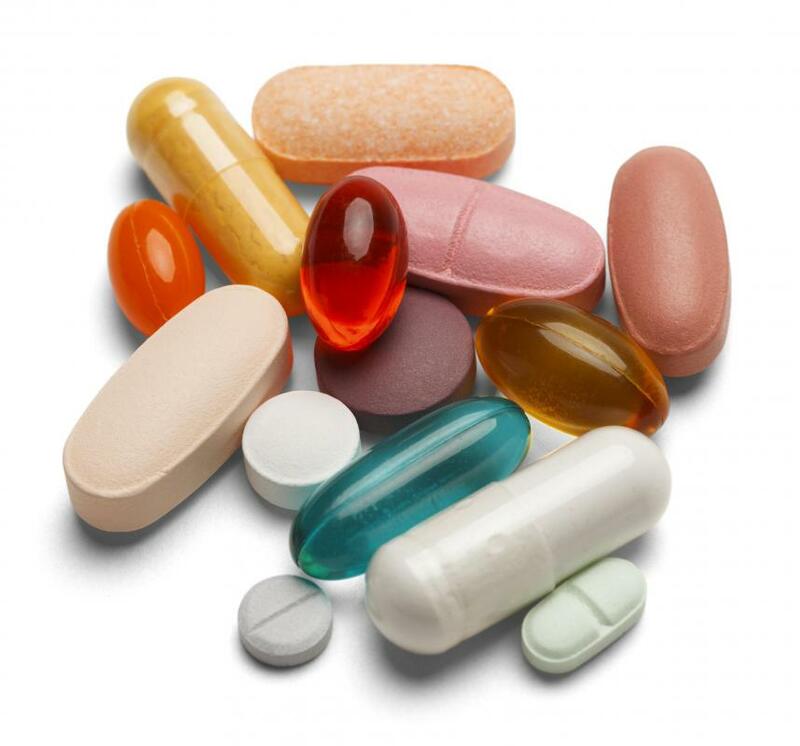 Some children may have difficulty swallowing tablet vitamins. In these cases, liquids can be added to or disguised in different foods. Chewable vitamins are another option, as these are usually flavored to make them more appetizing to even the pickiest of eaters. Many of the different types of vitamins for kids contain those nutrients, which are water soluble and need to be replaced on a regular basis. Vitamin C is essential not only in supporting the immune system of a growing child but also in aiding in the development of muscles and other tissues. The vitamin B group helps balance a child's metabolism and aids the developing nervous system and circulatory tissues. Although these vitamins are important, many medical professionals recommend they not be administered via a megavitamin. Megavitamins are not always created as vitamins for kids, and are typically made with adults in mind. These vitamins have such high amounts of nutrients that a child's small body could overdose on only a tablet or two. All vitamins are not created equal, and children's supplements are generally geared toward smaller bodies that are still developing. Some products allow parents to effortlessly give vitamins for kids with the foods they already like. Fortified foods are manufactured with vitamins included, making it easy to get children to consume them. For example, milk can be purchased fortified with vitamins A and D.
There are also iron supplements available that are designed for kids. Those fed a vegetarian diet still require the vitamins and proteins found in red meat, so an iron supplement can be one way of making sure they receive enough of this vital nutrient. Some supplements are labeled as iron free; too much iron can result in a dangerous overdose with serious consequences, so children who are taking a multivitamin but who receive their daily dose of iron elsewhere can typically take these more safely than vitamins that contain all or part of a daily dose of iron. Similarly, children raised on a vegan diet may also require calcium supplements in order to ensure healthy teeth and bones. What Are the Best Tips for Raising Vegan Children? 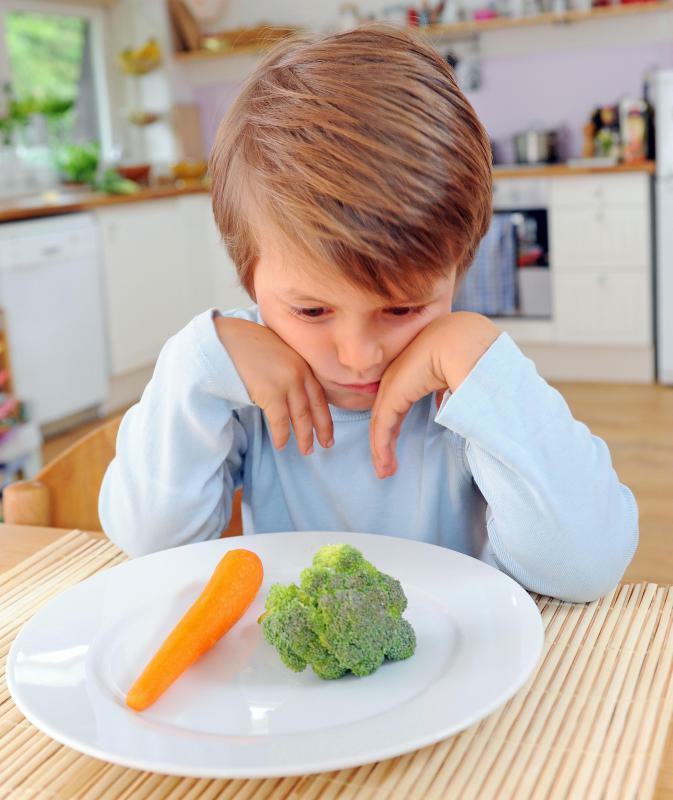 Do Vegan Kids Get Adequate Nutrition? What Are the Best Tips for Feeding a Vegan Baby? What are the Different Types of Vitamins for Bones? If your kids are following a vegetarian or, especially, a vegan diet you have to be extremely careful about their nutrition. There are a couple of vitamins which are difficult or impossible to get entirely from plants, like vitamin B12. On the other hand, make sure you follow the guidelines for vitamins and kids as their requirements are different from adults. In some cases they will need more, in others much less. I'm not a huge fan of children following a vegan diet as it can be dangerous for them. If you are going to have them follow it (or they insist on doing it themselves) then I would consult a professional, accredited nutritionist in order to make sure you aren't going to hurt them. Children can be damaged for life or even killed if they eat the wrong things for a long period of time. You have to make sure they aren't going to do that. @croydon - One of the things they are starting to be able to do with food is add vitamins to it. I know they've developed a kind of rice that has vitamin A in it, which will supposedly be able to prevent thousands of children from going blind each year if it replaces ordinary rice in developing countries. It's a bit of a dangerous game though, as I'm not keen to trust the genetic engineering processes that come up with these new kinds of rice, or for that matter, the companies which develop them. But, reinforcing vitamins into the food people and especially children eat routinely seems like the best way to prevent them from getting vitamin deficiencies. It's routine practice now in many countries to put vitamins in the bread and water and milk, for example. When I was overseas working as an aid worker, one of my colleagues had the brilliant idea of carrying around gummy vitamins for kids in his pocket. Often in poor countries kids will gather around anyone who looks foreign, asking for candy or money or presents. Whenever this happened to him, he would hand out the vitamins. It meant that some of the poorest kids got to have a bit of an extra boost to their nutrition. The only problem was, like any kind of vitamin, you can't let kids have more than one or two per day so he had to be careful to keep track and not let any one kid have too many. , the kids started following him around. Although he had good intentions, I wish he had made it more formal instead of showing the kids that it's possible to get candy if you go up to enough foreigners with your hand out.